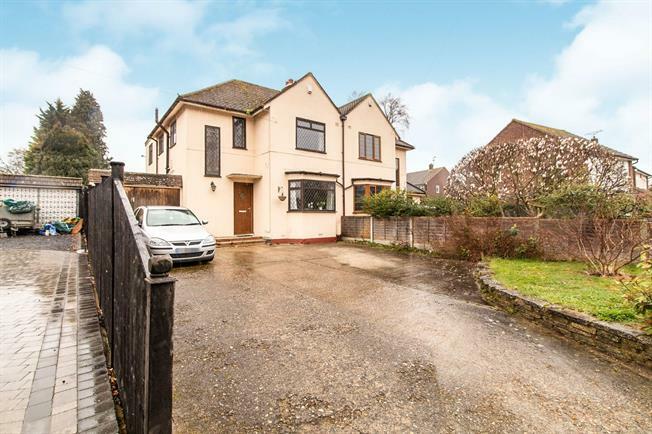 4 Bedroom Semi Detached House For Sale in Gravesend for Asking Price £500,000. Situated in a sought after location this 4 bedroom semi detached family home will not disappoint. The accommodation comprises entrance hall, lounge, kitchen/diner, utility, shower room and bedroom to the ground floor with a further 3 bedrooms, study area and bathroom to the first floor. There is a drive for multiple vehicles, approximately 150 foot rear garden and backs onto farm land. Call now to arrange your viewing!